Emeritus Chemistry Professor Sean Corish Receives Lifetime Achievement Award. Congratulations to Prof. Sylvia Draper for being awarded by the Institute of Chemistry of Ireland (ICI) the 2018 David Brown award at the Inorganic Ireland Symposium in Queen’s University Belfast. Careers Developmnet Symposium - TBSI, 23rd November, 2018. Irish researchers make key breakthrough on ‘brain-like’ computers at the AMBER research facility in TCD. Professor John Boland, Investigator in SFI Research Centre AMBER, and School of Chemistry, Trinity College Dublin, has been awarded an Outstanding Researcher Award from the Intel Corporate Research Council (CRC). PhD Studentship with AMBER opportunity. Two full-time/part-time positions available this Summer for Research Assistants (both Student and Postdoc levels) for research on conductive organic materials and thermoelectrics. Prof John M. Kelly, Fellow Emeritus winner of the "Institute of Chemistry of Ireland's 2018 Boyle Higgins Gold Medal"
Dr Junsi Wang wins RIA Young Chemist award. 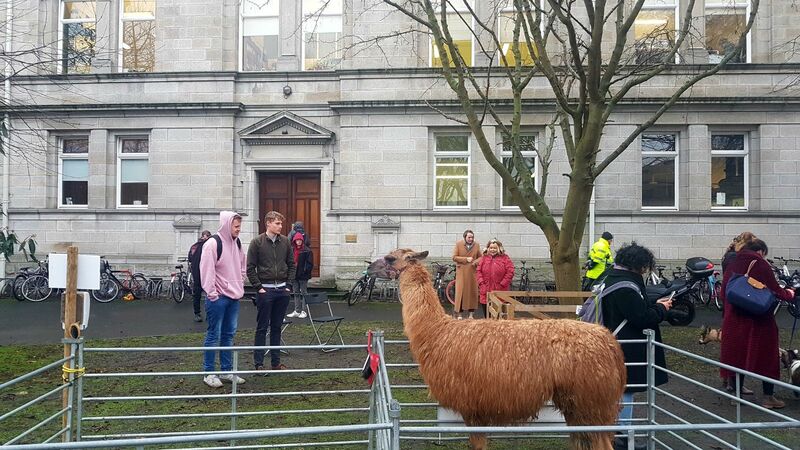 Llama considering to join Chemistry, cheered up students with its presence on Tuesday afternoon (16-01-2018). Congratulations to Prof. Sylvia Draper for being awarded by the IInstitute of Chemistry of Ireland (ICI) the 2018 David Brown award at the Inorganic Ireland Symposium in Queen’s University Belfast. Professor Sylvia Draper in the School of Chemistry Trinity College Dublin is honoured to be announced as the 2018 recipient of the prestigious Institute of Chemistry of Ireland (ICI) David Brown award. 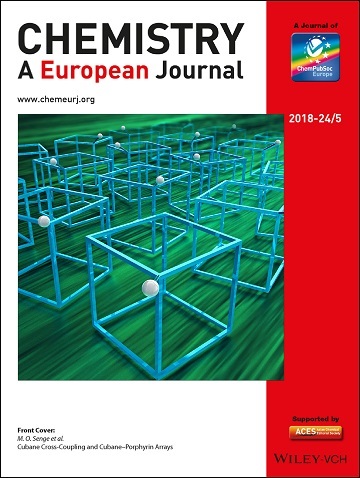 This was presented to her at the Inorganic Ireland Symposium in Queen’s University Belfast where she gave her award lecture entitled ‘Molecular Aromatic Platforms (MAPS): unexpected destinations from somewhat coordinated journeys’. In presenting the award Professor Stuart James explained that ‘it was in recognition of your outstanding contribution to inorganic chemistry both nationally and internationally’. 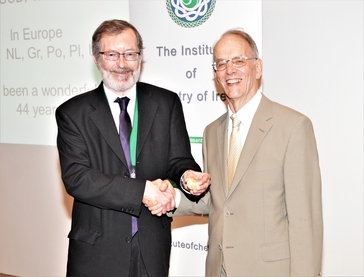 The award was established in 2014 to honour Professor David Brown of University College Dublin and his work on ferrocene. 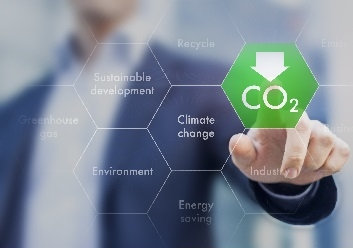 It has been presented every two years with the previous winners being Professors A. K. Powel (Karlsruher Institut fur Technologie) and M. McCann (NUIM). Professor Draper thanked the members of her research team past and present who have brought so many ideas to life and brought international recognition to her work. She also described how in her mind the award marked the historic return of the International Conference of Coordination Chemistry to Dublin. It was last held there in 1974, when it was organised by David Brown (UCD) and Bill Davis (TCD), but will be returning in 2026 thanks to Sylvia spear-heading a successful bid in Japan earlier this year. Professor Draper was also interviewed at the RSC “Breaking the Barriers” launch event in London in early December, where she spoke about her own experiences in relation to the recently published Breaking the Barriers report, you can see the interview here. Prof John M. Kelly, Fellow Emiritus winner of the "Institute of Chemistry of Ireland's 2018 Boyle Higgins Gold Medal"
Congratulations to Prof John M. Kelly, Fellow Emeritus, on winning the Institute of Chemistry of Ireland’s 2018 Boyle Higgins Gold Medal. 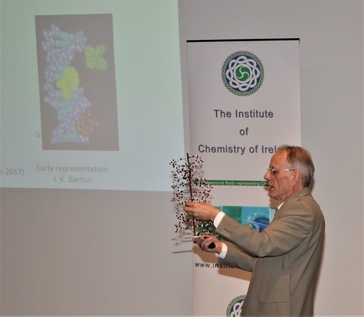 Prof Kelly has over 50 years experience in photochemistry, most recently in the area of metal complexes as DNA probes. To mark the occasion. Prof. Kelly gave a lecture entitled ‘1.4 Giga-seconds Exciting Chemistry -Time and the Photochemist’ at the Institute’s AGM in the Royal College of Surgeons on April 19th, 2018. 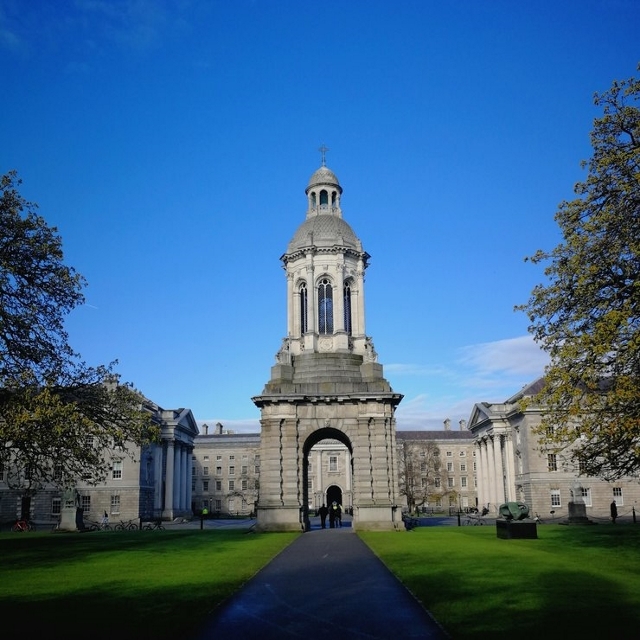 SCHOLARS: Congratulations to all of the students who were elected as Scholars on Trinity Monday and, in particular, the students who sat the Chemistry Scholar examinations*. Visiting TCD-Chemistry grounds from petting farm organised by the DU Agricultural Society (@_agsoc).